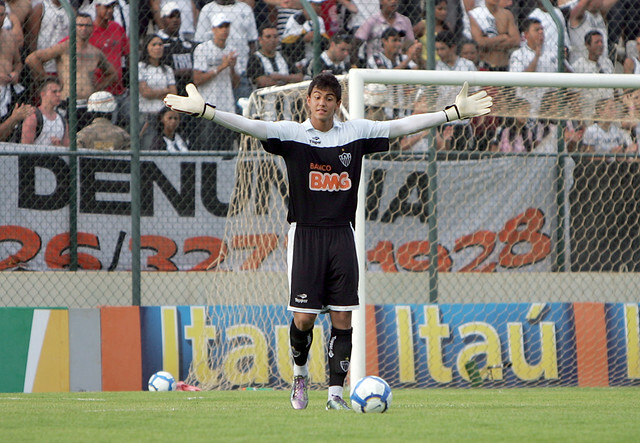 Renan Ribeiro (born 03/23/90) is the new sensation on Atlético Mineiro team. He is on the CAM entries since 2005 when he was only 15 years old. Renan was unveiled in the youth club and joined the professional team in 2009. With the insatisfaction of the fans seeing Edson, Juninho, Aranha, Fábio Costa, Marcelo Marinho, Carini (6 GOALIES!!) not being able to comply with the duty, and Renan always being relegated to the "second chance", now in 2010 the new manager Dorival Junior finally gave Renan the chance to be the GK on the First XI. Finally! He is showing amazing potential, being much better than all others that passed trough the First XI and we must remember that Renan was the 1st substitute of Rafael (Cruzeiro EC) on the U-20 World Cup, wich Brazil finished second. i accept this set, but imo he is overrated in GK, DEF and Jump. for me -2 in each one. i think is too high for a youth goalkeeper,def to 80,res to 82-83,ks 83 is for a top brazilian keeper. The rest of the status IMO are well rated, the response in the both set made he has 84 and IMO his KS are better than Rogerio Ceni. better res and consistency than others two,fabio costa ex-player..aranha is good gk ,but have feel the pression of a great team.. Honestly, I watched him since the junior team. I always insisted that he should be the first 1 GK in the Atlético Mineiro team, and I watched a lot of GKs passing by the team and not corresponding to the fans. I watched the trainings, he always was determined and showed a lot of enthusiasm, but directors, managers and who the f*ck talks louder in the team insisting in worse GKs and Renan training, showing a lot of potential, winning titles, and languishing on the bench. IMHO, he should have appeared on the First XI long time ago. I never liked Aranha, neither Fábio Costa, Juninho, Edson and Marcelo [who terminated his contract with CAM]. 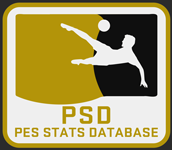 I don't agree with RES decrease, but I agree with DEF and GK Skills if needed. I found that he weights 70kg and 84 kg, honestly I think he should weight between 75-80kg. IMO we can live with AGILITY 80, uh? I'm working on Aranha and Fábio Costa. Be sure that they will drop a lot. We can use Rafael (Cruzeiro) to compare also. Renan is a great GK. It's ok in his first appearances he was awesome, especially considering the last 2 keepers performances, well I still like my older suggestion so what you think about this DEF 82 and TEN 78. Anders wrote: It's ok in his first appearances he was awesome, especially considering the last 2 keepers performances, well I still like my older suggestion so what you think about this DEF 82 and TEN 78. Now he is feeling the pressure and suffering with the constantly changed defense. Last edited by Folgore! on 2011 Apr 13, 17:59, edited 2 times in total. Well is being a time that I don't watch him, but some values seen a little low, I can agree with DEF 81, BB I don't know with 80 he seems a little weak, R. Ceni have 82 and I think that he is one of the weakest keepers, I like the BB in Lucas set 82. Mentality should be 78 I1m almost sure of that but 1 point don't make much difference, disagree with KS with this value he almost can't catch a ball and I was sure that he was better than R. Ceni, I don't think he has change so much to deserve a sow low level in KS a 81 or 82 would be fine he is not in pair with Felipe from Santos on this. I was almost forgetting why increase his Jump? look this mini ladder J. Cesar (Corinthians) 84, Jefferson (Botafogo) 85 Felipe (Flamengo) 85~86, this are the values that I have here in my OP he don't look like can be in pair with J. Cesar and is not near from Jefferson or Felipe, Jump 83 is enough. Anders wrote: Well is being a time that I don't watch him, but some values seen a little low, I can agree with DEF 81, BB I don't know with 80 he seems a little weak, R. Ceni have 82 and I think that he is one of the weakest keepers, I like the BB in Lucas set 82. Edited my post, what do you think now? Tested it, and reduced JUMP to 82. Seems fine. I agree with the new set.